Here is your chance to be a part of an exclusive group of Red Nun Dennis Port customers. The membership purchase fee is $150, with an annual renewal of $25. 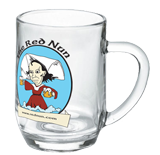 Please note, membership in The Red Nun Dennis Port mug club is for Red Nun Dennis Port location only. To purchase your mug, submit the completed application to RNDP staff. A numbered 20oz mug displayed at Red Nun Dennis Port which no one else will be permitted to use. 20oz mugs of beer at the regular 16oz price every day from open to close - 7 days a week. Mug Club off-season Mondays - Each Monday from Columbus Day to May 15th, receive one appetizer at 50% off with your meal. Each mug club member will receive one free birthday meal (up to $15) redeemable within 4 days of the member’s birthday. Access to the Red Nun e-newsletter, providing information about member only events, beer releases and more exclusive or “first-to-know” information about The Red Nun. 10 percent off Red Nun merchandise at the Dennis Port location. Mug club memberships expire yearly and must be renewed each year (see below for renewal information). Annual renewal is $25. Mug Club membership runs from Jan 1 through Dec 31. Mug Club membership and benefits are not transferable. Unless specifically stated, benefits apply to the member only and may not be applied to any other individual. Member’s official mug must be used to receive mug club beer special benefits. 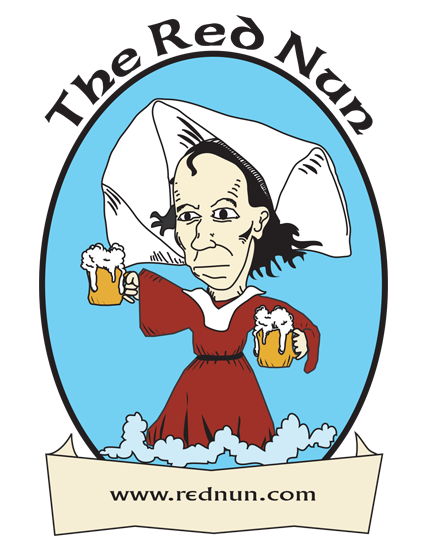 Red Nun management reserves the right to revoke a club membership, without refund, due to refusal to observe appropriate Red Nun policies or Massachusetts liquor laws including those regarding public intoxication. Mug Club member will NOT be able to receive preferential seating at anytime. They must follow the “first come, first serve” rules everyone else follows. Mug Club members must follow all applicable alcohol related policies. Mug Club members will never receive free alcoholic beverages and will not be served if believed to be intoxicated at anytime. Red Nun Dennis Port reserves the right to change terms and benefits of the mug club at any time. Members will be notified by email of any such changes in terms or benefits. A full application must be filled out and returned to Red Nun Dennis Port for a chance to become a Mug Club Member. Mug Club membership renewal is $25 a year. Current Mug Club members will be notified (by email) in early December and be given until Dec 31 to renew their membership. Members must renew their membership in person at the restaurant and present their full renewal fee at time of renewal. Exceptions will be made on a case-by-case basis. TO REITERATE: A full application must be filled out and returned to Red Nun Dennis Port for a chance to become a Mug Club Member.